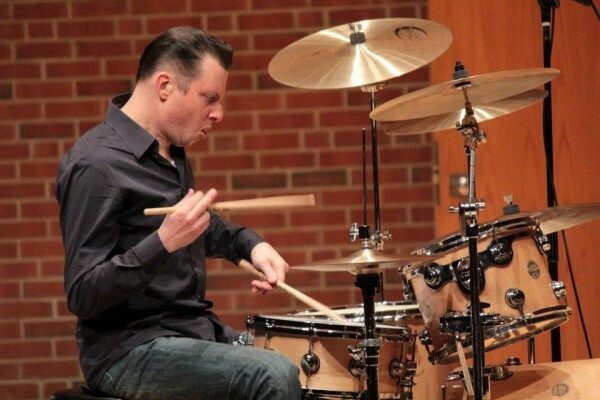 Drummers have to think about the rhythmic phrasing that we are going to play on the snare drum in the same way that other musicians are going to think about it. And that means we have to stress short notes and long notes in different ways. So, if you know me at all, you probably know that one of my favorite concepts to talk about as an educator is the QUARTER NOTE PULSE. This clip provides a fine example of how the approach toward “swinging” four quarter notes begun in the 1920s and ’30s was still going strong into the modern rock era. Here’s Led Zeppelin playing “How Many More Times” in 1969. Note John Bonham’s RH on the ride cymbal. 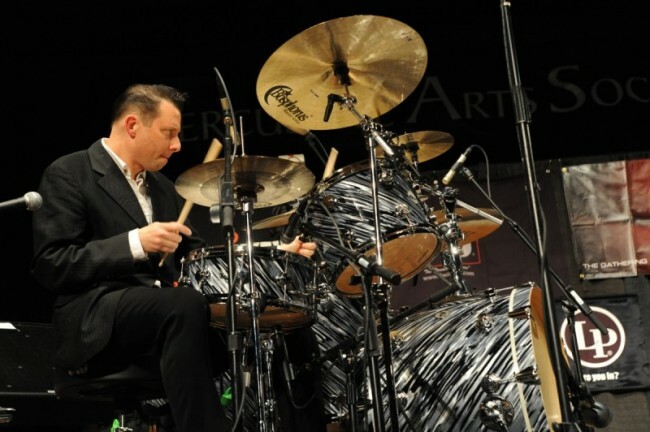 His technique (what I refer to as “throw-up”) belies an upbringing based in jazz studies and the influence of swinging drummers like Gene Krupa, Max Roach and Earl Palmer (remember, there was no such thing as a “rock drummer” or “rock technique” when Bonham was a lad in mid-fifties England). Even when the band fully kicks in to the groove, Bonham’s approach is still coming from a “swung 8th” perspective. It’s an important distinction to make, because the jazz/swing quarter note underpinning is what makes so much of 1950s and ’60s rock’n’roll so memorable. 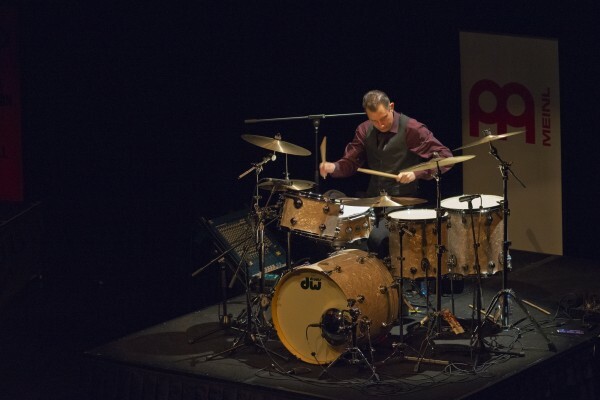 The upshot is this: If you love Bonham, then do some research and learn what influenced him. You’ll discover some intricacies in rock you never realized, and will improve your playing as a result! 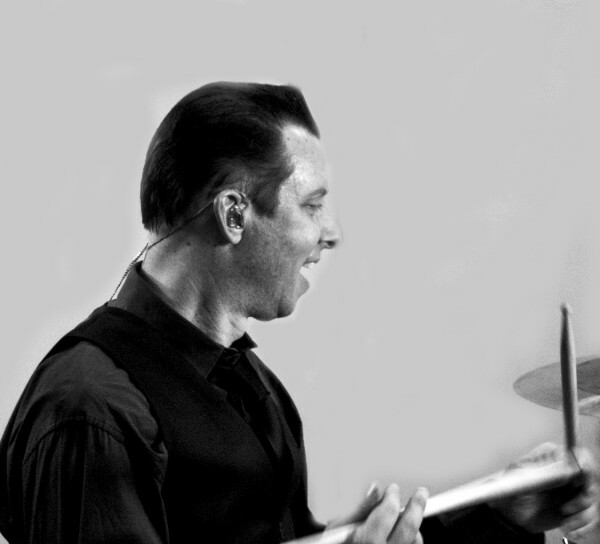 Freddie Gruber taught me that to play the drums you have to dance with your whole body. In order to dance you gotta learn about what it is to be a dancer, meaning all four of your limbs have to work in a way that just flows naturally and they all work together in some coordinated way. 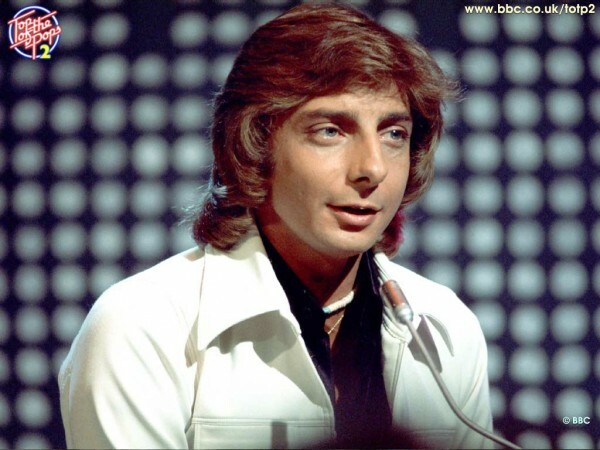 So why have I posted a picture of Barry Manilow on this fine Monday morning? No, it’s not to dump a spoonful of saccharin in your morning cup. 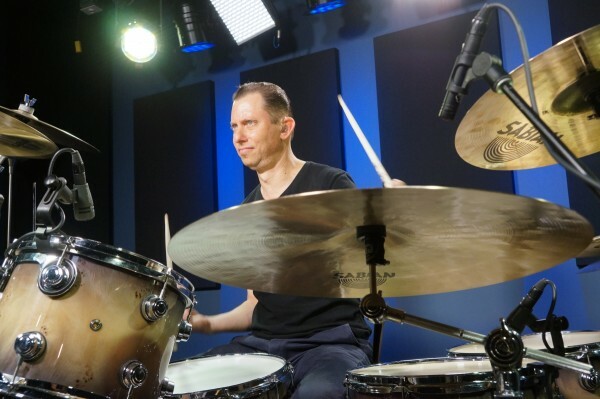 It’s because if you’re a drummer, you really need to watch the video below and see what happens at 0:54. What you’ll hear is Manilow’s 1974 hit, “Mandy,” and what happens at 0:54 is that the drummer comes in. And what is the drummer doing, pray tell? Playing quarter notes on the hi hat is what. Why is this a big deal? Because it’s hard … REALLY hard on a song at a fairly moderate tempo such as this one. 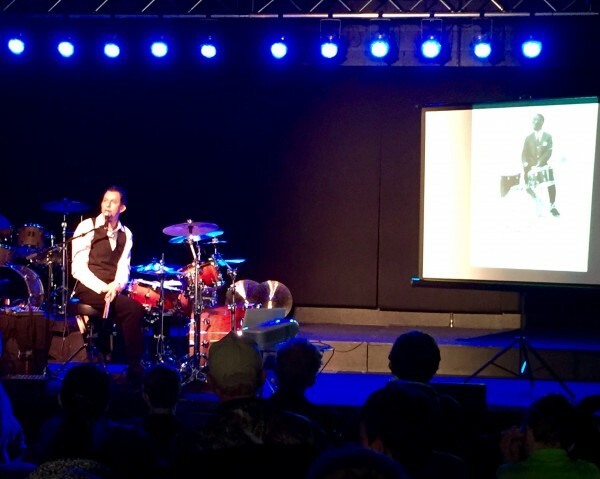 Now keep listening, and you’ll notice that every time the drummer starts to play fills, they are comprised of 8th notes …. every time, the whole way through the song. Again, playing fills of this kind is actually really hard to do at tempos like this one. What’s the upshot of all this? If you want to improve your straight eighth groove – get “deeper into the pocket” as it were – it would behoove you to play along with “Mandy” and other Manilow power pop ballads. 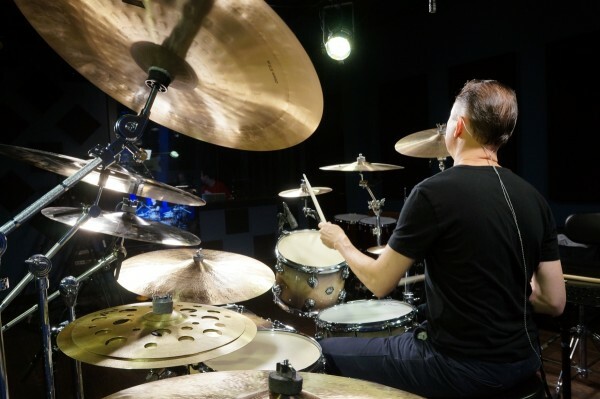 They all follow the same drumming formula, and will really test your abilities not only to keep steady time, but to go in and out of fills without losing said time. I learned this lesson firsthand when I worked with Graham Russell from Air Supply (yes, Air Supply) a few years back. I was tasked to cut a demo of a brand new Russell original for a Broadway project, and realized that my “power ballad” time wasn’t so hot. SO, in preparation for the recording, I spent three days in my practice space working on deathly slow rock grooves playing nothing but quarter notes on the hi hat and eighth note fills. It was a great lesson and those three days made me a much better drummer. 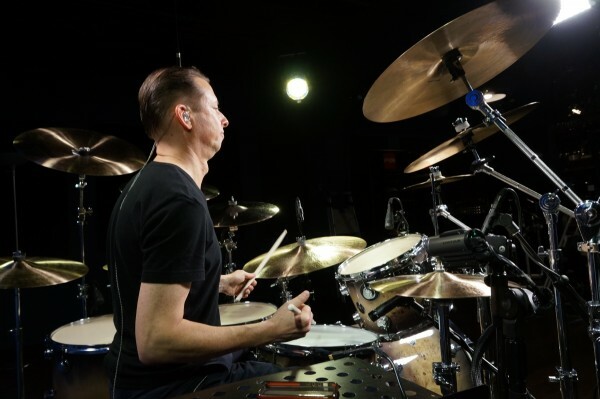 Try it – you’ll find a whole new appreciation of SPACE, something that most drummers are absolutely terrified of and have much trouble negotiating.